Whatcom County’s 11th annual Farm Tour returns the second weekend in September. The free, self-guided tour is part of the month-long Eat Local campaign, hosted by Sustainable Connections’ Food and Farming Program, with support from local organizations, businesses, and farms. On Saturday, Sept. 8, several farms will open their doors to the public allowing visitors to explore and learn about their farms, and ask questions. The Bellingham Farmers Market and Lynden Farmers Markets are stops, too! 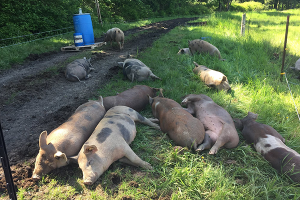 • Alluvial Farm, 6825 Goodwin Road, Everson: Their farm focus is healthy, pastured pork. Tour the grounds and barley fields, visit the pigs, and stop by the Whatcom Conservation District booth to learn about resources and planning. • Appel Farms, 6605 Northwest Drive, Ferndale: This family farm has operated their dairy since 1967 and making cheese for more than 35 years. Sample cheeses, tour the farm, and check out kids activities. • Bellewood Acres & Distillery, 6140 Guide Meridian, Lynden: Enjoy the harvest time in their beautiful orchards growing many varieties of apples, check out the distillery, take a bin-train ride, go through the corn maze, stop by the cafe, and more. • Bellingham Farmers Market, Depot Market Square, Bellingham: Visit with over 100 vendors, including farmers, crafters and local organizations from 10 a.m. to 3 p.m. Stop by the Demo Days and Farm Tour booths. • Ferndale Farmstead, 2780 Aldergrove Road, Ferndale: This 500 acre farm grows their own feed and raises their own cows to produce the milk for their creamery. Tour the facility, walk the farm and learn about the seed-to-table process, and enjoy some cheese. • Growing Veterans: 6458 Martin Place, Lynden: Planting seeds of hope, this non-profit veterans organization produces vegetables of all kinds, as well as a hot sauce, hops, and honey. 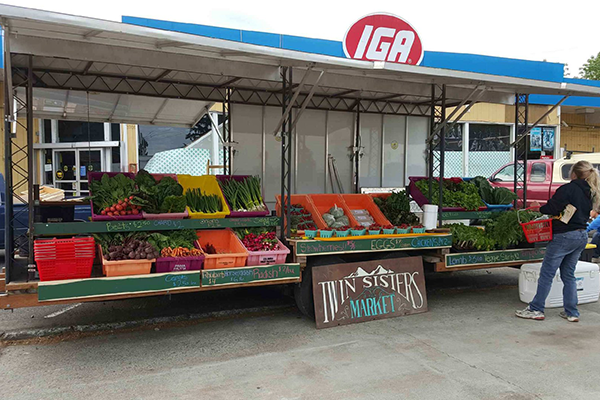 • Lynden Farmers Market: Centennial Park, 319 Grover St., Lynden: A mix of farmers, food vendors, crafters, and artisans you can find everything from vegetables, eggs, and meat to soaps and gifts from 10 a.m. to 2 p.m.
• Matheson Farms: 228 E Smith Road, Bellingham: Matheson Farms is home to yak, beef cattle, chickens, and four generations of farmers. Hear about their conservation projects to protect water quality and practices designed to regenerate land. 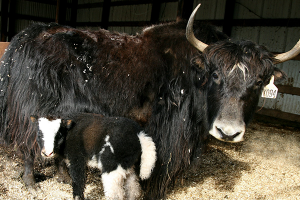 Educational displays, demonstrations, games, and Yak-tivities for the whole family. • Myshan Dairy, 112 H Street, Lynden: MyShan Dairy is a small Guernsey dairy north of Lynden. They vat pasteurize, bottle and distribute to 25 stores, from Lynden South to Everett. Tour the farm, meet the cows, taste the “Golden Guernsey Goodness” and take a hay ride. • Triple Wren Farm, 2424 Zell Road, Ferndale: Stop here for flowers, blueberries, pumpkins, honey and more. Learn about their growing process, flower farmer internship program, and more. • Twin Brook Creamery, 9728 Double Ditch Road, Lynden: This historic dairy dates back to 1910. They started bottling on the farm in glass bottles in 2007 and have grown ever since, supporting local dairy farms in the county and advocating their environmental stewardship. See the farm and cows, tour the processing facility, and drink some milk. 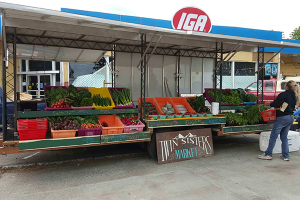 • Twin Sisters Farmers Market: 3705 Mount Baker Highway (Nugents Corner) and 7406 Kendall Road, Kendall: A cooperatively run mobile farmers market, they’re working to bring fresh healthy foods to Nugents Corner and Kendal. Produce is supplied by Slanted Sun Farm, Monkey Puzzle Farm, Sage and Sky Farm, Small Acres, Sumas River Farm, Coyote Bank Farm, Sunseed Farm, Vertical Fog Farm, Wild Vitality Farm, Mariposa Farm, Flynn Farm, and several more. • Atwood Ales: 4012 Sweet Road, Blaine: This small family farm grows ingredients for the on-site brewery where they produce unique ales inspired by French and Belgian farmhouse brewing traditions. Tour the brewery and farm and enjoy a free taste of award-winning beers. • Riverhaven Farm, 741 River Road, Lynden: This farm grows vegetables and fruit, and raises sheep, beef, and chicken. Explore and learn all about their agriculture methods. • Ten Fold Farm, 4634 Guide Meridian, Bellingham: At nearly 10 acres, this farm practices old-world planting and tending techniques. Tour the grounds, and see the vegetables, herbs, fruits, and flowers growing. For more information about the farm tour and other events included in Eat Local Month, visit sustainableconnections.org or EatLocalFirst.org. The San Juan Island Farm Tour kicks things off Saturday, Sept. 9 from 10 a.m. to 5 p.m. Participating farms include: Aurora Farms, Sweet Earth Farm and Snowberry Farm, Red Roof Acres, and Dancing Seeds Farm. Later in the month, Lopez Island hosts a farm tour on Sept. 29. 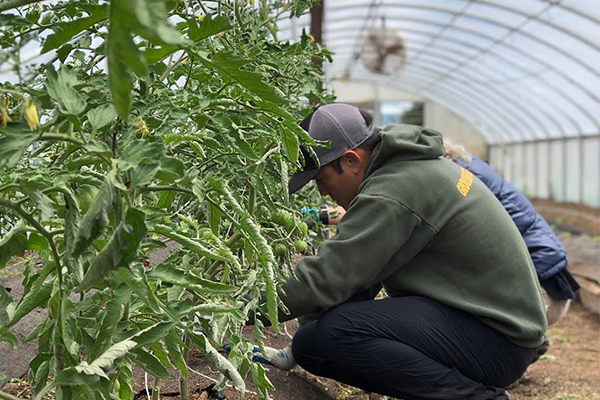 Orcas Island will host a tour on Sept. 30, including: The Kitchen, Coffelt Farm, Girl Meets Dirt, Orcas Farm, Maple Rock Farm, Warm Valley Farm, Orcas Island Public School Garden, West Beach Farm, and Island Thyme Farm. Tickets available for each island tour. See also www.visitsanjuans.com/savor.